When you are traveling to rainy areas or a place with unpredictable weather, umbrellas play a convenient role. 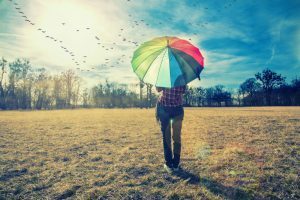 Many of us hate to carry an umbrella around when traveling, but often regret not bringing one when we encounter rain, strong winds, or harsh sun rays. 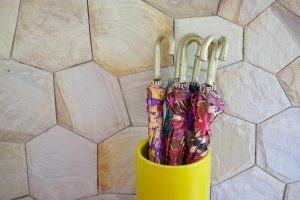 For those who don’t want to be caught off guard, it is imperative that you bring with you the best travel umbrella that matches your unique needs. 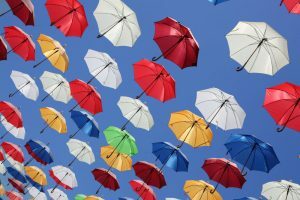 Keep in mind that traditional or standard umbrellas are not often rated as travel umbrella. If you already have one, it doesn’t mean you can use the same for your travel. For travel purposes, you need a more compact, sturdier, stronger, and easier-to-carry umbrella. You also need to choose between different styles and types. 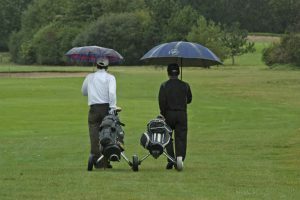 However, with so many options available, you may feel as if you are pulled in different directions when shopping for the right travel umbrella. 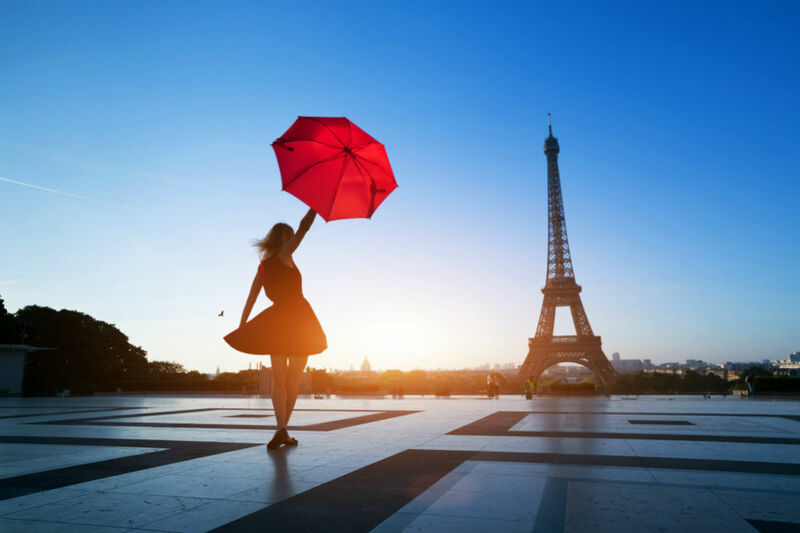 This is why we have listed some of the top options available in the market with all the reasons why these three can be your best companion for your next travel. When you are traveling, you like to carry light and compact stuff, don’t you? 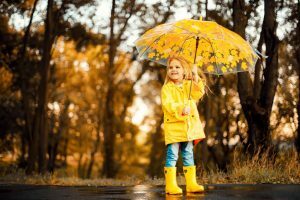 This is why we have listed this umbrella from Rain-Mate on top of our list. Similarly, this is loaded with features that help it withstand storms and heavy rains. The umbrella has an all-metal shaft and frame, along with nine reinforced fiberglass ribs that make it super strong. Most umbrellas use eight ribs, so this one has one additional for extra strength, allowing it to resist rain as well as strong wind. It also comes with a fail-safe flip technology. 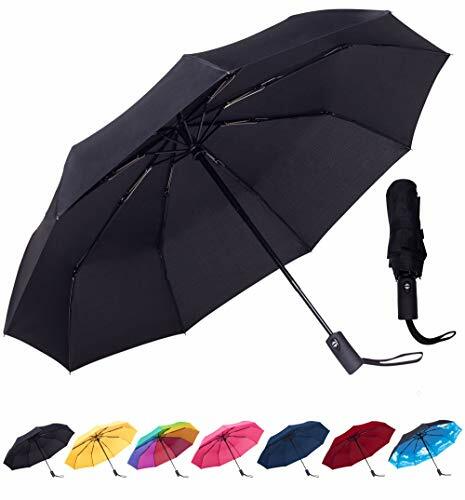 Available in seven different colors, this travel umbrella has fiberglass hinges that are designed to invert the canopy without bending or breaking, making it long-lasting. 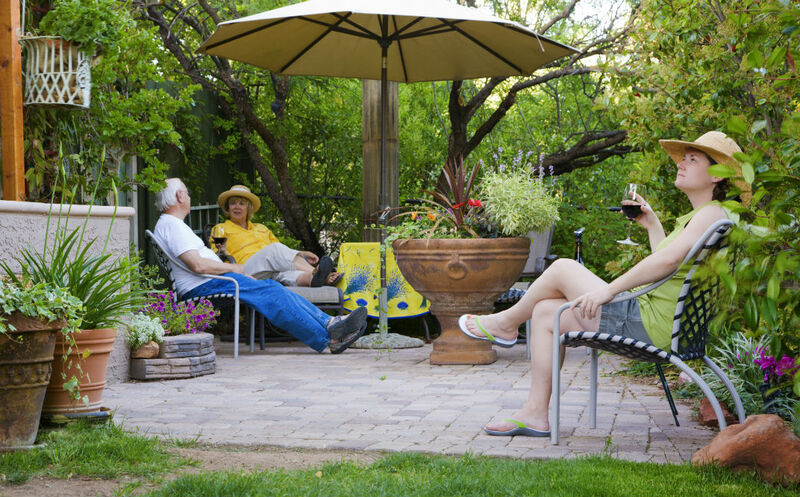 It also features an automatic open-and-close process that offers you instant control over the umbrella. 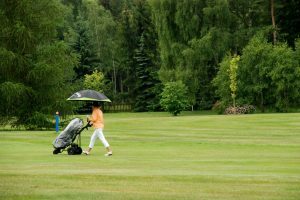 The umbrella also includes travel sleeves that can help you keep it dry when you carry it in your backpack as well as a lifetime replacement guarantee. It features a three-fold telescopic shaft that is also collapsible, so you can reduce the length to only 12 inches, making it easy to fit it into your backpack. Even though it is a small umbrella, its canopy measures around 40 inches, offering enough cover for two people. Balios Umbrella is a popular UK-based brand that is most known for its high-quality and luxury umbrellas. The Prestige is their latest model designed specifically for traveling. This is a modern umbrella that can add style to your outlook while keeping you safe from rain, sun, and wind. The Balios Prestige Travel Umbrella features a double-vented canopy that adds to its strength. Made of 300 thread count fabric, the canopy can easily repel and withstand heavy rain while the strong-built keeps it from inverting. To add more, the product went through 18 different tests during the inspection process by Balios, making it one of the most durable travel umbrellas out there. The canopy, which comes in four different colors, covers around 43 inches of the area which is more than enough for two people. 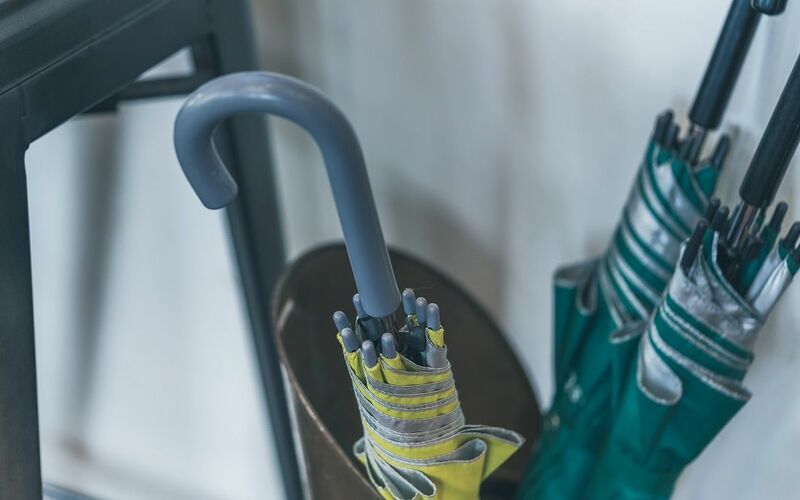 The handle of the umbrella is made of slip-resistant rubber and wood, and it comes with finger notches for a secure grip. On the other hand, the shaft has been constructed using industrial-grade steel while the eight ribs are made of premium quality fiberglass. 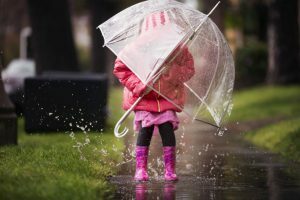 Coming in at a length of only 13.2 inches and weight of 395 grams, this umbrella can be carried around without hassles. To make things easier, upon purchase, you’ll receive a three-layer sleeve with a zipper to keep the umbrella dry. Using it is also quick and easy because it is equipped with an automatic open-and-close button. 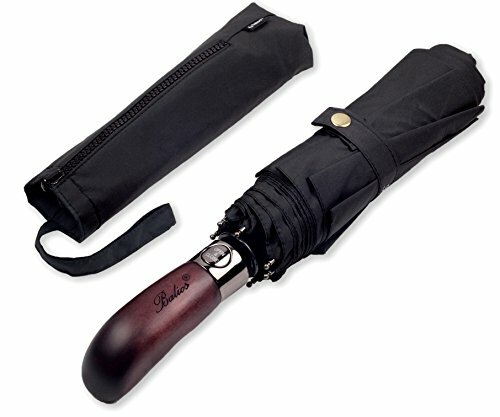 Last on our list is another windproof and compact umbrella from Lanbrella, a well-known manufacturer. This one comes with an upgraded inverted folding design that makes it long lasting. Available in four different colors, you can choose from black, burgundy, grey, and navy blue. 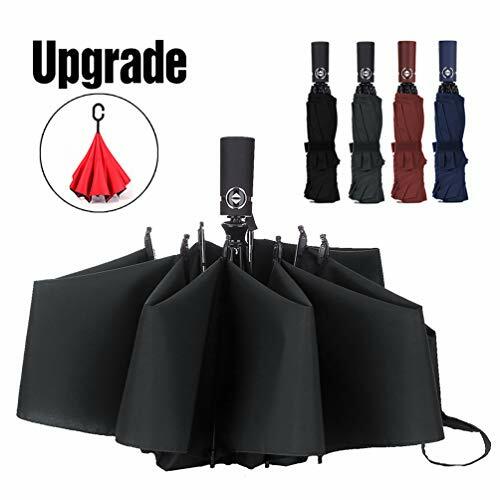 As the name implies, the Lanbrella Reverse Travel Umbrella has a reverse folding mechanism that keeps the outside of the umbrella dry, which means it is an upside down umbrella with an inside-out design. It is also built with eight reinforced fiberglass ribs that allow it to withstand heavy rain and wind. It has a total length of 12.6 inches and a weight of approximately 13.6 ounces. Available in four various colors, the canopy is also well-built and made of a 210T high-density material that doesn’t allow water to pass through. 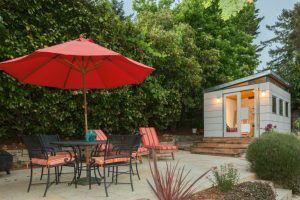 Its 46-inch arc makes it slightly larger than the other two options, but the coverage area is just around 41 inches, which is just enough for two people. On the other hand, the handle is made of sleek metal, which adds to your style, and features an automatic open and close button that makes it convenient to use. With your purchase, you would expect to receive a storage pouch as a bonus, as well as a lifetime warranty. The three travel umbrellas listed are some of the best options available in the market. They are well-built, and they offer you the best protection against wind, rain, and sun. All three are also compact, lightweight, and easy to carry that makes them a good fit for travelers. Although in the end, it all depends on your preference and individual needs, if you are brand conscious and looking for the best travel umbrella with an eye-catching design, then the Balios Prestige is an excellent pick. Not only because Balios is a well-recognized global brand, but also because they are known for their classy and stylish umbrellas. Additionally, it is an affordable yet quality umbrella.